Warriors captain Knowledge Musona is reportedly considering a move away from Belgian top-flight football side Anderlecht over growing frustration due to lack of playing time at the club he joined from another Belgian Jupiler Pro League outfit KV Oostende six months ago. The 28-year-old former Kaizer Chiefs and Hoffenheim forward is enduring a frustrating spell at Anderlecht, where he has been reduced to bit-part roles failing to nail down a regular starting slot in Hein Vanhaezebrouck's side. Musona is behind the trio of Croatian forward Ivan Santini, DRC-born Belgian Landry Dimata and Ghanaian teenager Francis Amuzu in the striking pecking order at Anderlecht. The Zimbabwe captain, who has also been occasionally deployed at left wing, has started just three league games this season and also making five substitute appearances, scoring one goal. Anderlecht occupy fourth position on the Belgian Jupiler Pro League log standings with 30 points from 17 matches, eight behind log leaders Genk. According to reports in Belgium last week, Musona is keen to move in search of regular first-team football and is even open to rejoining his former side KV Oostende in the January transfer window. 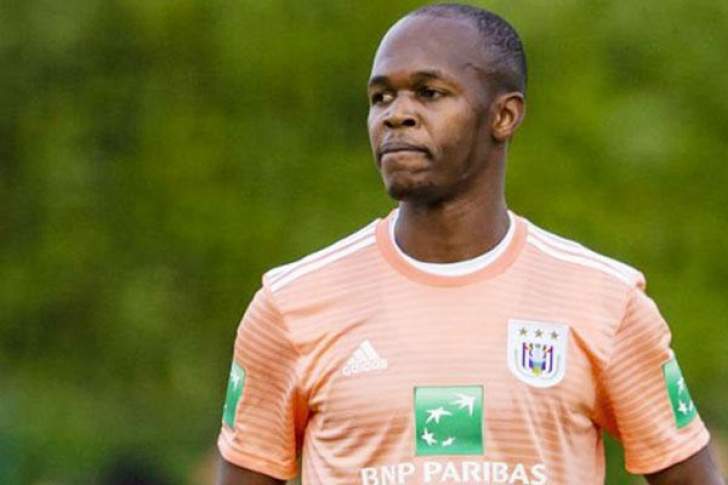 Het Nieuwsblad, on Friday revealed that Musona's return to his former club would depend on KV Oostende's willingness to meet Anderlecht's financial demands. "Knowledge Musona is not very happy anymore at Anderlecht. The Zimbabwean is even open for a return to his ex-team KV Oostende. But whether the coastal team sees that and whether it is financially possible is still to be seen," reported Het Nieuwsblad. Belgium's biggest-selling national daily newspaper Het Laatste Nieuws also suggested that Musona together with his fellow out-of-favour teammates at Anderlecht Ryota Morioka and Zinho Gano could be set for January loan moves to bottom-of-the-table side Waasland-Beveren. While Musona's stint with Anderlecht is turning out to be a nightmare, his reputation with the Zimbabwe national team remains untainted. He is currently Zimbabwe's top goal scorer and joint third overall in the 2019 Africa Cup of Nations qualifiers with one round of matches to play. He has four goals in the bag, along with Egyptian superstar Mohamed Salah, Angolan forward Mateus Galiano da Costa and Anis Salto of Libya. Nigerian Odion Jude Ighalo and Fiston Abdul Razak from Burundi are the current join top-scorers with six goals.